SACRAMENTO—Court of Appeal Associate Justice George Nicholson, of the Third Appellate District, announced his retirement effective Jan. 2 after 30 years on the trial and appellate bench. Justice Nicholson began his career as a deputy district attorney and senior trial deputy district attorney in Alameda County before joining the California District Attorneys Association as executive director from 1976 to 1979. He then joined the state Department of Justice as senior assistant attorney general and special assistant attorney general, where in 1982 he helped draft the influential voter initiative, the “Victim’s Bill of Rights,” which included the rights of victims to seek financial restitution and to speak during sentencing and parole proceedings. Nicholson was deputy director for special projects in the Governor’s Office of Planning and Research before founding the National School Safety Center, a partnership of Pepperdine University and the U.S. Departments of Justice and Education. Justice Nicholson joined the Sacramento Municipal Court bench in 1987, followed by the Sacramento County Superior Court in 1989. In 1990, he was appointed to the Court of Appeal, Third Appellate District, by Gov. George Deukmejian. 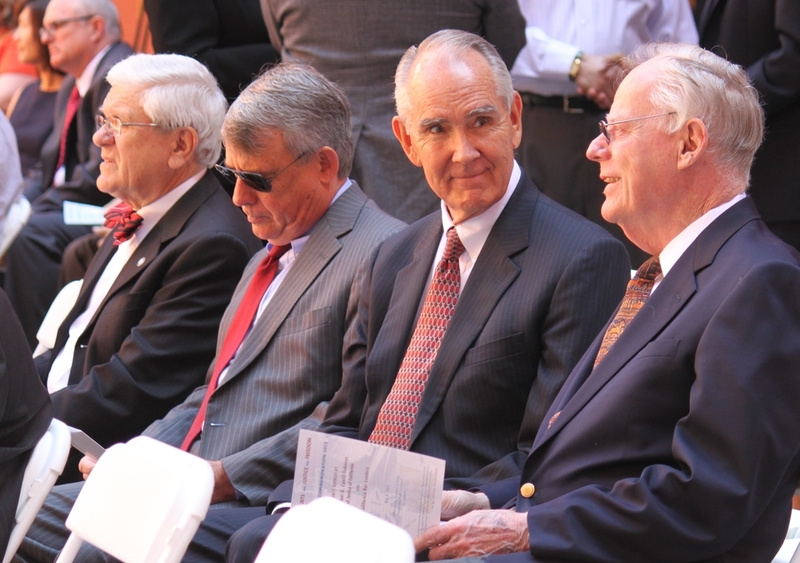 Justice George Nicholson (second from right) attends a Law Day event in Sacramento with his Third District colleagues in 2012. A longtime history aficionado, Justice Nicholson has been active in promoting the roots of the Third Appellate District, including its first presiding justice Norton P. Chipman, a confidant of Abraham Lincoln and Ulysses S. Grant. He was involved in the state appellate court’s Centennial celebration in 2005 and facilitated educational outreach programs that allowed area students to sit in on the court’s oral arguments. He was appointed by Chief Justice Malcolm Lucas to the first Commission on the Future of the California Courts and served as a member of its executive committee and chair of its Appellate Courts and Technology Committees. He is a member of the California Supreme Court Historical Society. 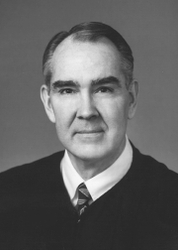 Justice Nicholson received an A.A. from Oakland City College in 1962, a B.A. from California State University, Hayward in 1964, and a J.D. from the University of California, Hastings College of Law in 1967. A former all-city high school, college, and semiprofessional baseball player, and member of the Central California Baseball Managers Association and of the Society for American Baseball Research, Justice Nicholson works with Branch Rickey, III, president of the Pacific Coast League, to promote the study of baseball and freedom. Together, they have planned and organized nine baseball and freedom events, including three opening nights, at Cooperstown Symposia on Baseball and American Culture, conducted annually by the National Baseball Hall of Fame. The first opening night honored Branch’s grandfather, also Branch Rickey, the lawyer and president of the Brooklyn Dodgers who signed Jackie Robinson to break Major League Baseball’s color barrier in 1947. In memory of former Presiding Justice Robert K. Puglia of the Third Appellate District, Justice Nicholson also helped plan events held at Raley Field, home of the Sacramento River Cats, to honor high school baseball (boys) and softball (girls) players who demonstrate skill and leadership both on the field and in their classrooms and communities. He and Brenda have been married 58 years. They have two children, Peggy and Christopher, two children-in-law, Craig and Renee, and six grandchildren, Marty, Jessica, Jennifer, Katie, Karin, and Kean.